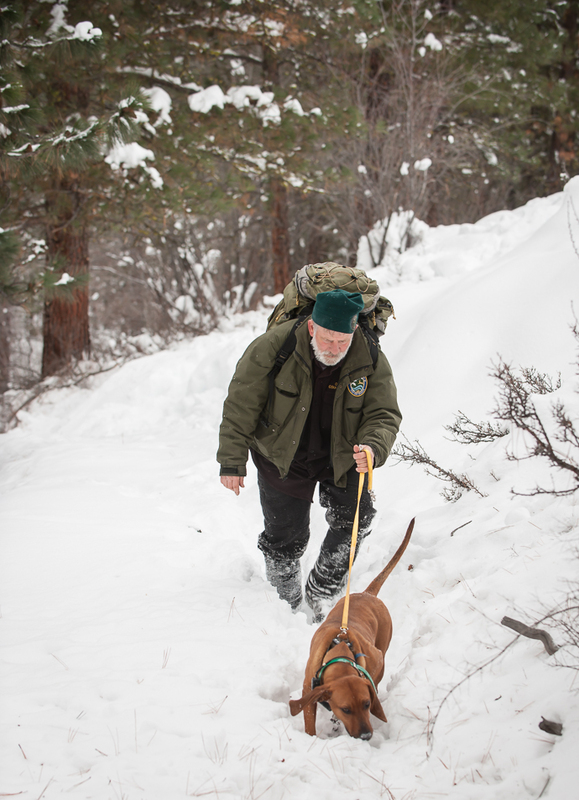 Yesterday MA and the dogs and I had a breathtaking walk in the hills above the Twisp River. Breathtaking in more ways than one. We are in the midst of one of those cold snaps where the early morning temperatures are below zero; where the dogs don’t waste much time when they are sent out to do their business; where it takes some time to get dressed just to go outside and you wonder how the dogs do it without any extra clothes. But they go out happily and wish I’d take them on more walks. The cold wasn’t the only breathtaking topic. So were the views. Cold weather is often accompanied with blue, blue skies and snow-covered mountains. A surprise, not so much breathtaking but a surprise none the less, was finding a geocache on top of a hill. To me it seemed altogether too obvious even without the help of a gps and coordinates. Maybe it would have been harder if we’d been searching for it. We opened it and left a note and a dog cookie. We had breathtaking views of birds – a Kestrel kiting (hovering) in search of prey: Common Ravens soaring and laughing: three Red-tailed Hawks soaring and falling together – maybe a sign of choosing their territories. Breathtaking was seeing a cougar loping across the hill below us! Luna had erupted into her serious bark and Frida had her hackles up. Luckily Sky was behind us and didn’t rush to see what all the fuss was about. She knows that bark means danger ahead. MA and I watched for a moment before the cougar came into our field of view maybe fifty meters away. Maybe less. I expect that when Luna first saw it, the animal was much closer than that. We regrouped and made a swift retreat, back the way we came from, stopping to leave another note in the geocache. A Kestrel ‘kiting’ in search of prey. We have walked in those hills too. 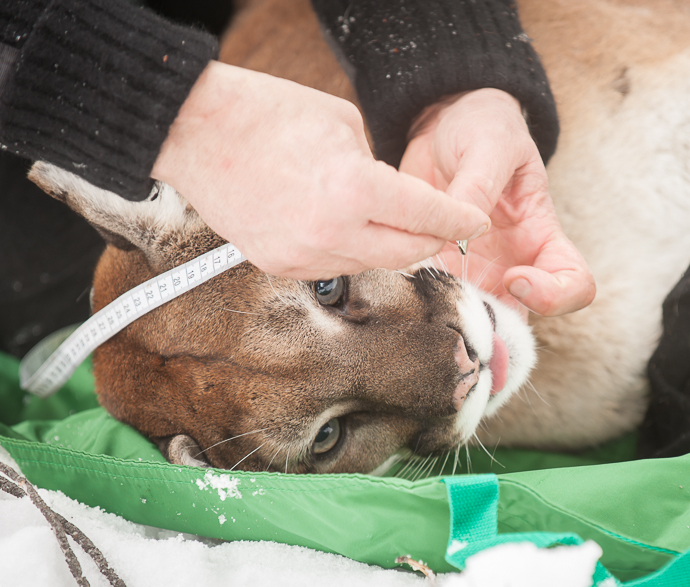 Yesterday I returned home after skiing in the morning and found two big trucks parked in our driveway and then I heard the sound of hounds in the draw down below and I knew some cougar was in trouble. 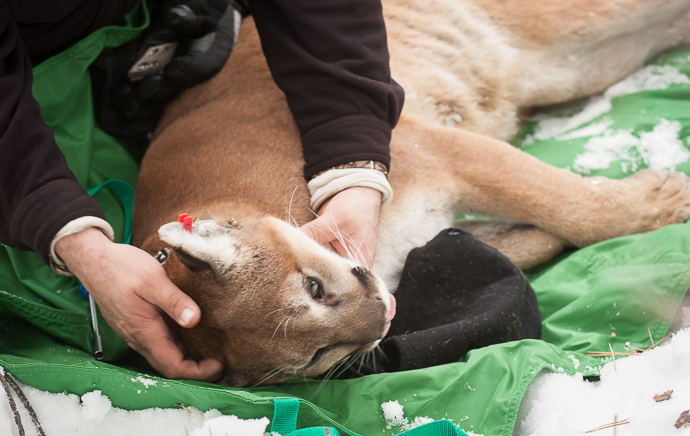 In Washington it is not legal to hunt cougars with dogs. Only the state can use dogs to track and capture them. I’d heard last week that the neighborhood just up valley from us had been noticing a cougar and people seemed upset about it. 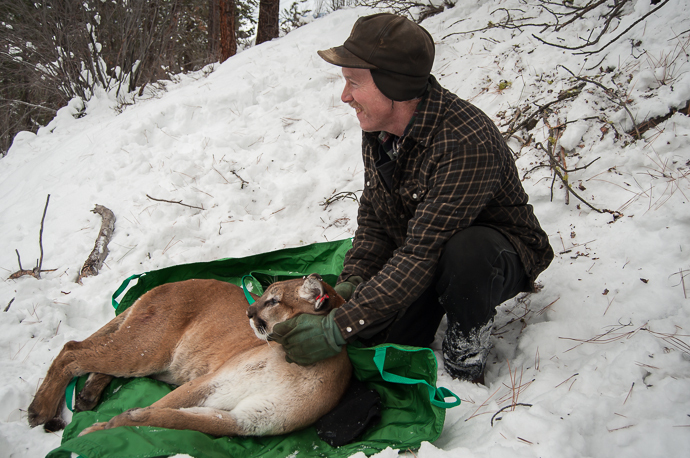 We have always known there are cougars around but haven’t seen them or had any trouble with them. We have seen images from remote cameras not far from our house. I like knowing they are nearby. 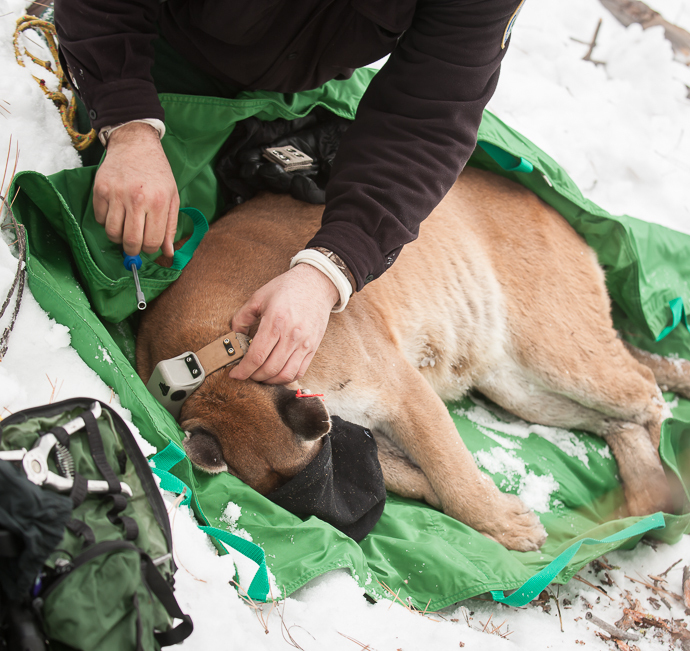 I don’t have to remind myself that we are the intruders in their habitat so it’s our job to minimize our impact on cougars and other wildlife. I wanted to see what was happening but I also did not want to intrude and cause trouble. I could not see the area where the cougar was treed so I drove slowly down our road til I could look across the draw through the trees and watch from afar. 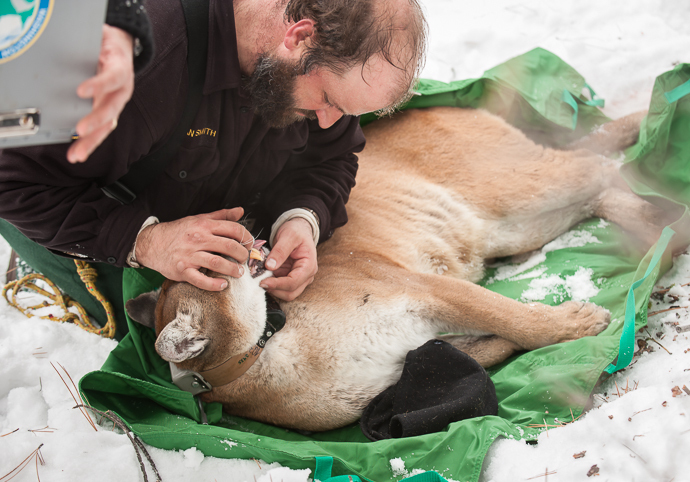 There was one biologist and four volunteers and two hounds that never quit howling. 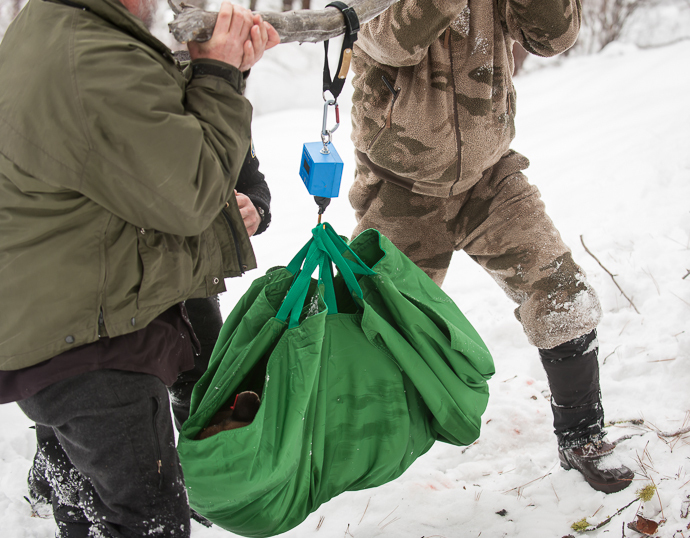 After they got the animal out of the tree they said I could walk over to observe what they were doing so I parked the car and made my way through the deep snow on the steep hillside. Collaring the cat. 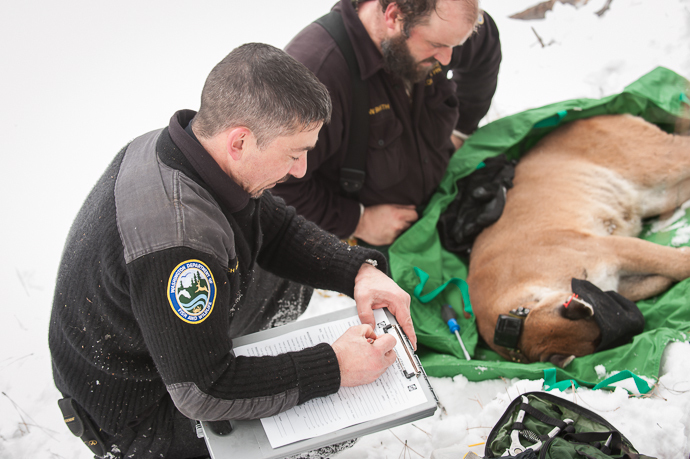 With this collar scientists will be able to track her movements. 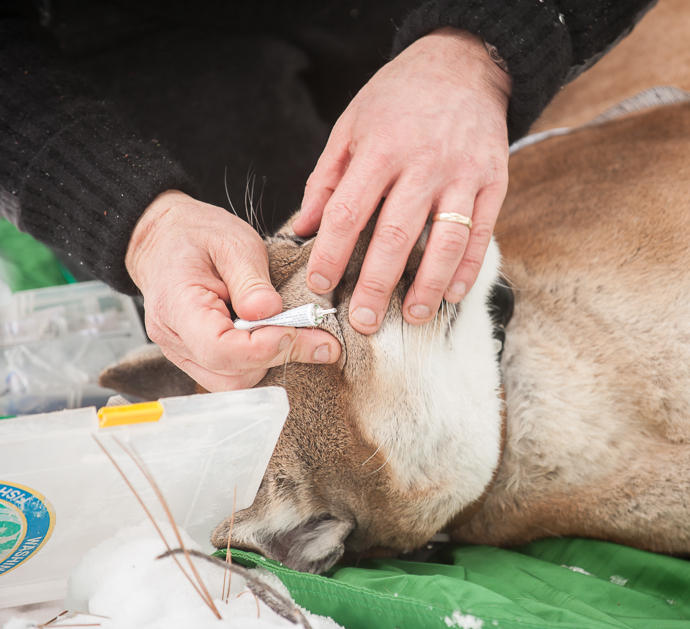 This is part of state-wide study of cougars. 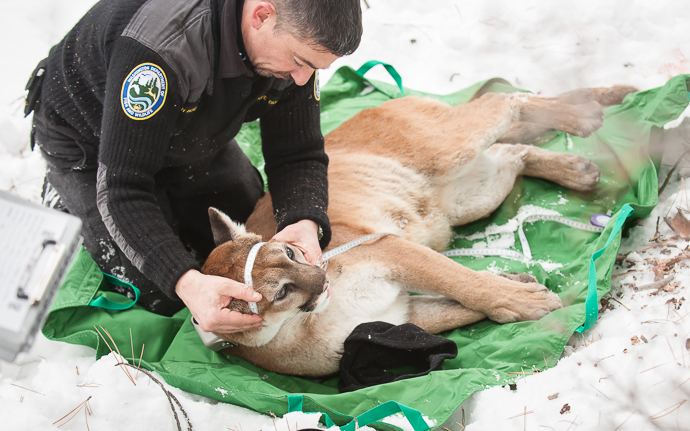 This is the second time this cat has been captured and collared. The previous time was three years ago. There is a cotton spacer that is designed to rot so that collar will fall away after two years. 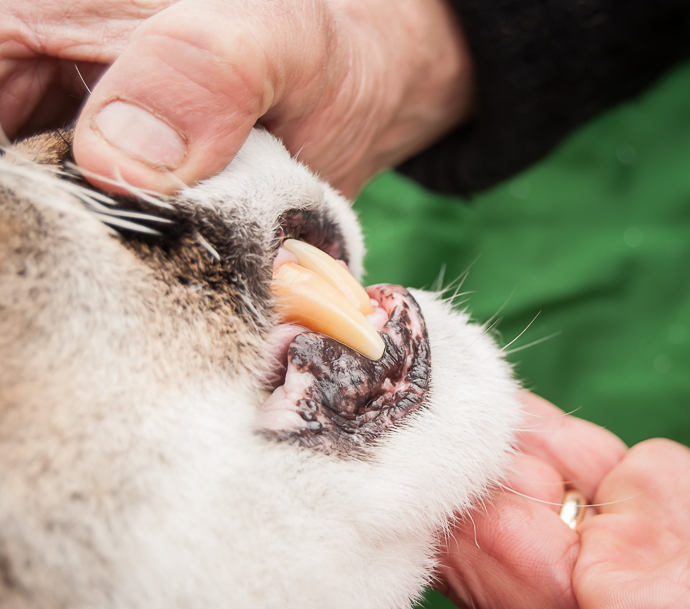 The checked her teeth to determine her health and approximate age. Based on her history, she is five or six years old. 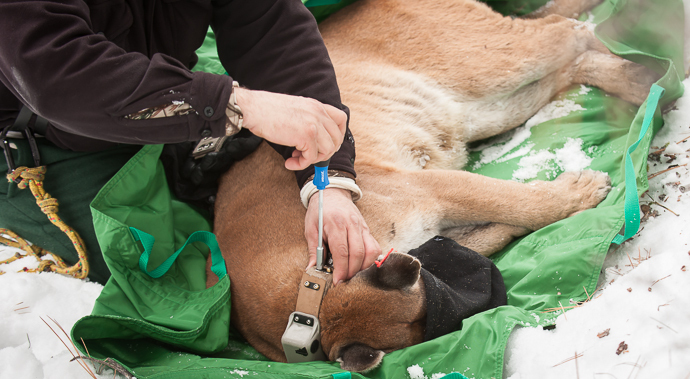 The tag on her ear indicates that she was captured previously in Poorman Creek – less than ten miles away as the cougar travels. All the data gathered is carefully recorded. She will have no secrets. 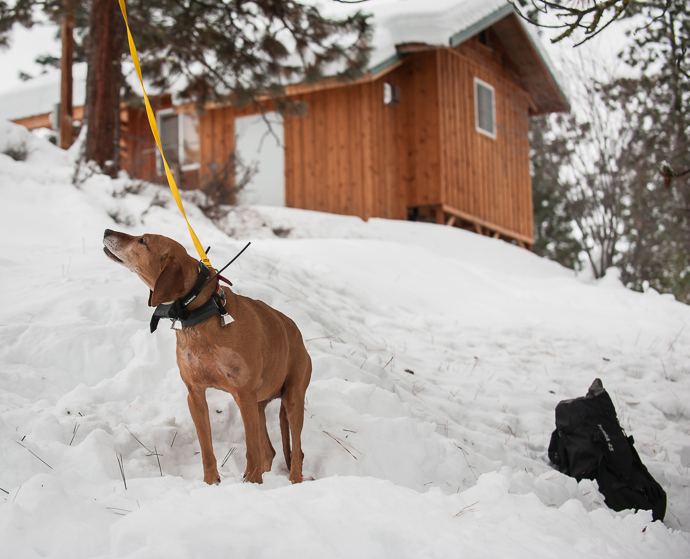 One of the hounds used to track and capture the cat. The house in the background is a summer cabin just below our place. 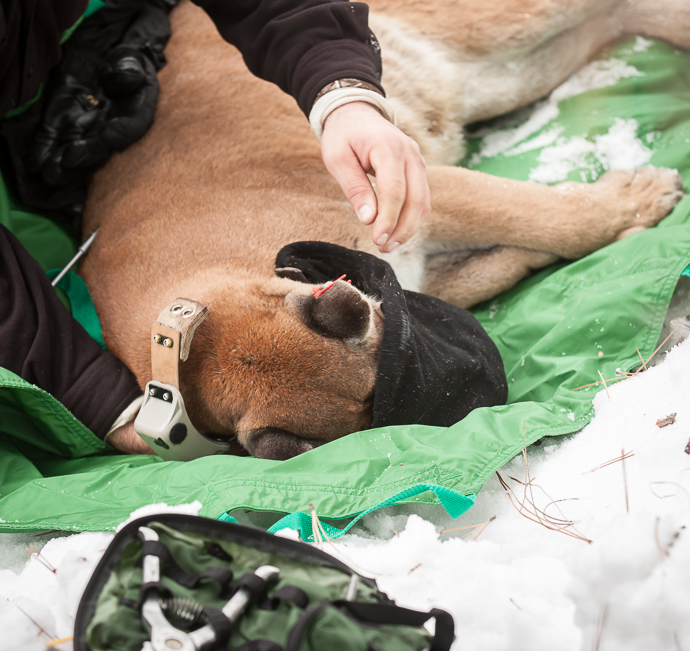 While she is tranquilized, her eyes do not blink so gel is applied to keep them moist. A healthy animal just over 100 pounds! She has three kittens that weigh about 30 pounds and they have all been living well off the local deer population. 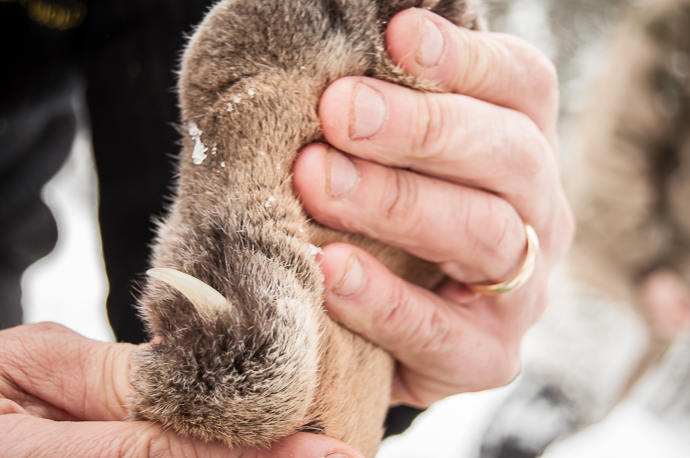 That big claw is the one she uses to bring down a deer or other prey. Time to pack everything up so she can wake up in peace. This is a Karelian Bear Dog. Normally Cash would have been in on the chase however he recently had TPLO surgery on his knee so is in recovery. He really wanted to be out there. 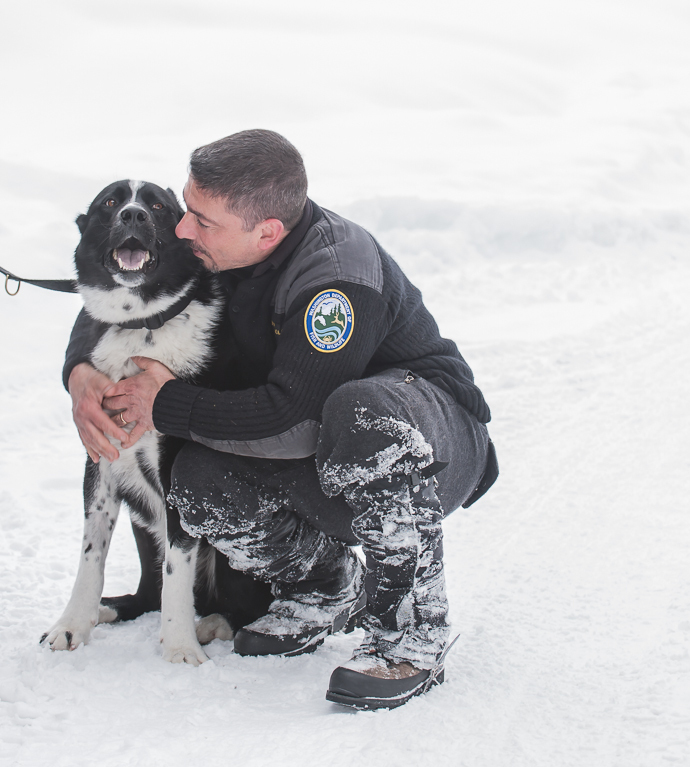 Learn more about the Karelian Bear Dogs here. I have long wanted to see a cougar and somehow imagined that I would see one slinking across our road when I drove home after dark. This is not how I wanted to see a big cat. It’s unfortunate for her that she took up residence in an area where people were uncomfortable with her. 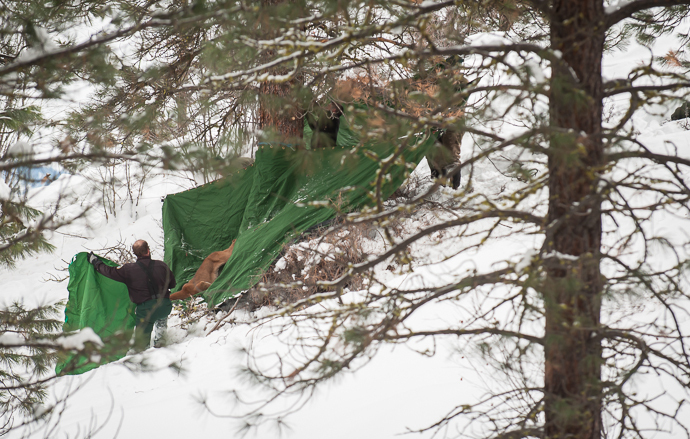 Otherwise she would not have been tracked and treed and tranquilized. She was staying out of trouble. Hopefully this event will cause her to move into a quieter location.